Encore Performance! Quadax is #1 — Again! 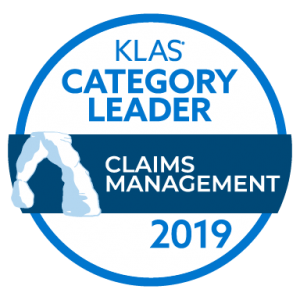 Quadax is honored to be recognized for a second year in a row as the Category Leader–#1 for Claims Management by KLAS Research. Ultimately this rating was earned because of the interviews KLAS conducted with users of the Quadax Claims Management, Xpeditor. While many in healthcare tend to think of claims processing as a commodity, Quadax continues to demonstrate providers can and should expect more of their claims management vendors. Our secret sauce is the perfect blend of great technology with reliable, expert, personal support. The Quadax Claims Management application enables providers to achieve greater control over their revenue cycle to streamline, automate, and customize their claims and follow-up workflow to meet their own unique needs. And, the Quadax first-pass acceptance rate of 99.6% helps clients to realize greater cash flow with less work! The things technology cannot provide; however, remain critically important to healthcare revenue cycle leaders, and it’s in those areas Quadax shines even brighter. Our commitment to reliable, expert, personal support means every account has a dedicated account manager. A team of real people answer the phone when you have a question or concern. We personally work with every client to help them use our products in the best way to meet their distinct needs and goals. And, not only do we know the names of our clients’ staff, but we probably know their pets’ names, too. KLAS Research scores vendors on the performance categories Culture, Loyalty, Operations, Product, Relationship, and Value. What they learned put Quadax at the top of the list for the second year in a row. The rankings for Claims Management are on the KLAS website and are updated regularly. KLAS data is freely available to healthcare providers. You can learn more about KLAS and the insights they provide, and download the 2019 Best in KLAS: Software & Services Report when you log in or create a free account. Experience the difference in working with the #1 rated Claims Management system. With over 45 years of experience, we’d love to talk to you, understand your goals and share how we can help you meet or exceed them. Please get in touch!